I’ve teased you on Instagram LONG ENOUGH! The time for me to share the beginnings of my chia seed pudding obsession has begun. 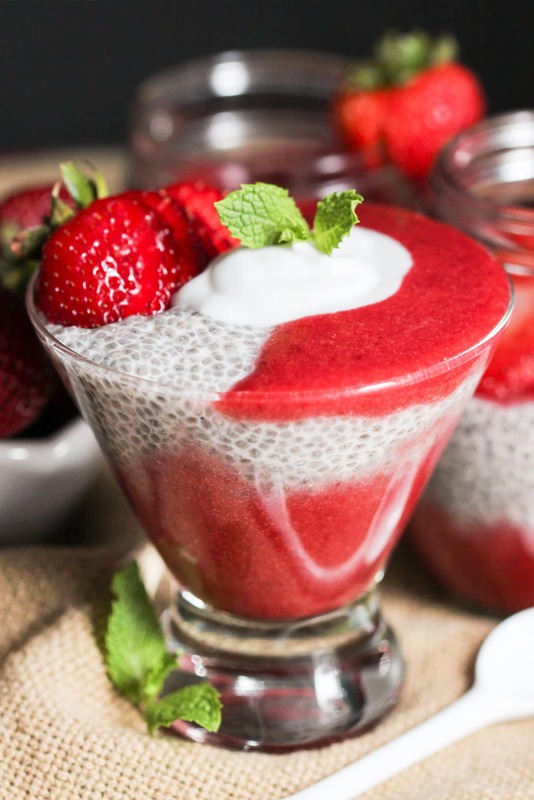 Let us commence with this Healthy Strawberry Vanilla Chia Seed Pudding — with generous layers of vibrant and sweet strawberry puree and warming vanilla-infused chia seed pudding, we’ve got a really tasty treat on our hands! 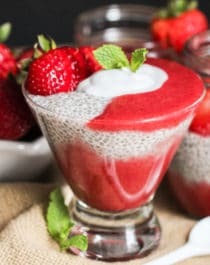 Prior to my first chia pudding ever, a Raspberry Blood Orange Chia Seed Pudding, I had a serious aversion to chia seeds. They smelled weird to me, they reminded me of little bugs, and I absolutely hated their crunch whenever I tried them in a smoothie. Oh, and they got stuck in my teeth all. the. time. BUT, there’s some sort of magic that happens when you soak ’em overnight. They gel up like cray cray and all of a sudden, with a few extra ingredients, they taste GOOD, they’re no longer crunchy, and they’re actually quite purdy to look at. I lurv it. I think you will too! 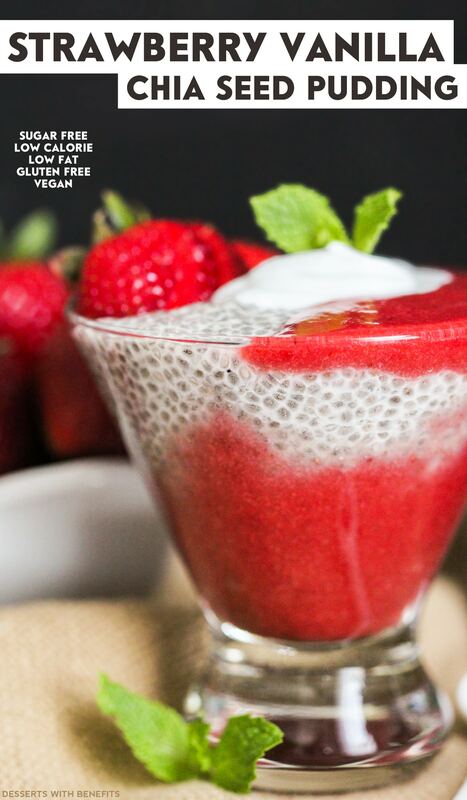 This Healthy Strawberry Vanilla Chia Seed Pudding is sweet and filling yet sugar free, low fat, low calorie, high fiber, gluten free, dairy free, and vegan too! In a shaker cup, add the almond milk, vanilla extract, chia seeds and sweetener. Cover with the cap and shake. Pour into jars, seal tightly, and refrigerate overnight. In a small blender (I used my NutriBullet), puree the strawberries. Pour the puree evenly into the jars. Serve and enjoy! Can you believe this has got just 150 calories per serving?! 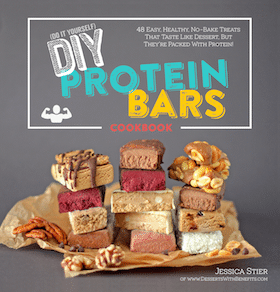 Plus, 10g of filling fiber and 6g of protein. Well, that’s all for today folks! 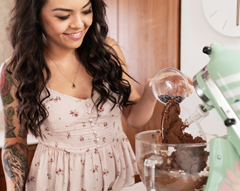 Hope you like/LOVE the recipe! And make sure to stay tuned for the next bazillion Chia Seed Pudding recipes. What size jars are these? And how long will the pudding last in the fridge? The round jar is a 16oz jar, and I think the martini-looking glass holds around 8oz? Maybe 12oz? Can I use raspberries or blueberries instead? to a powder first then add then it more like a smooth instant milk pudding. What a delicious snack/dessert! 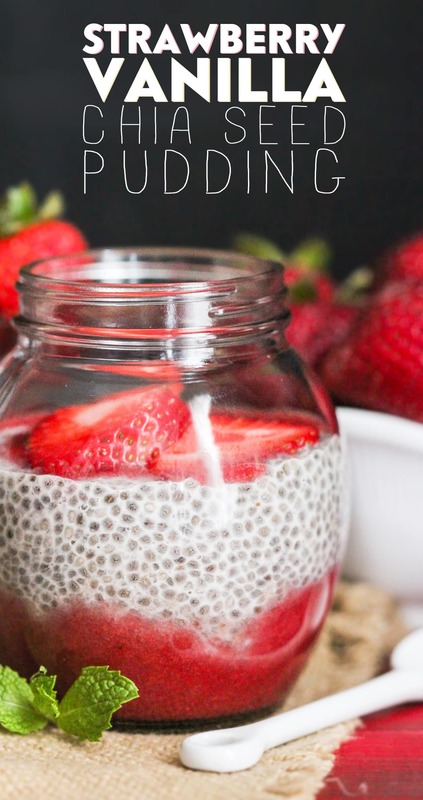 I don’t have chia pudding because I’m generally not successful with it, but I’d LOVE to try this! Colorful, pretty & an easy intro to chia puddings! Have you tried Monkfruit extract (Lo Han) in this? We tried the stevia/truvia and it was just a touch ‘artificial’ tasting somehow? Monkfruit is now in those ‘squeezy drops’ bottles like stevia is, but unlike with truvia the Lo Han stuff is usually “all fruit or peel extract” instead of the Erythritol mix. 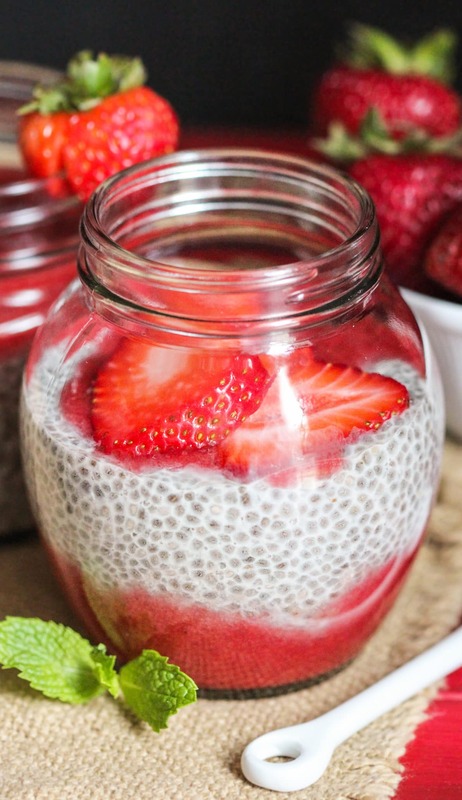 How long can chia pudding be left in the refrigerator before it spoils or dose it? What chia seeds did you use? The ones I have are 60 calories per tbs. Adding 5 tbs wold make that 300 calories just in the chia seeds alone. My chia seeds have 60 calories per tbs too. 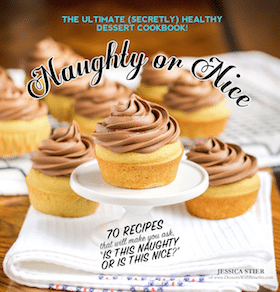 The entire recipe has 450 calories and yields 3 servings. 450/3 = 150 calories per serving.